For this girl, capes have always been a religious experience. My devotion started long ago – with the shorter version. Over the years, I longed for something a little more substantial. Come fall, I’ll be able to worship at the feet of so many. 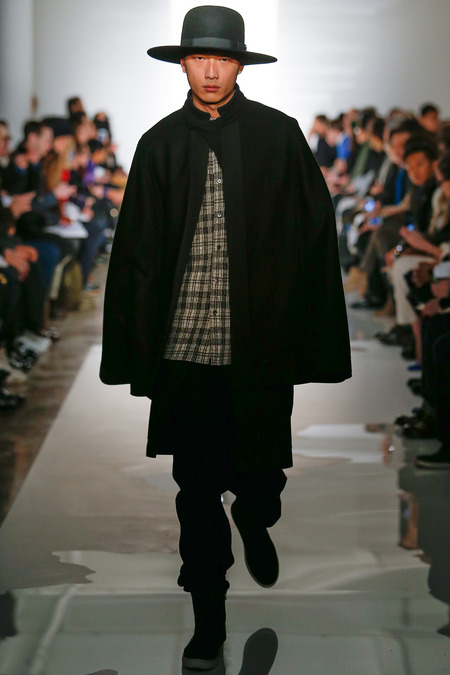 Capes grazed more than one NYFW FW14 runway this past week. Not all were necessarily floor-length, but each had a fantastic monastic quality to them. Praying at the altar of cool. I may finally have heard the message from Thom Browne…his conceptual collection was immaculate in many ways. Goodbye short pants! 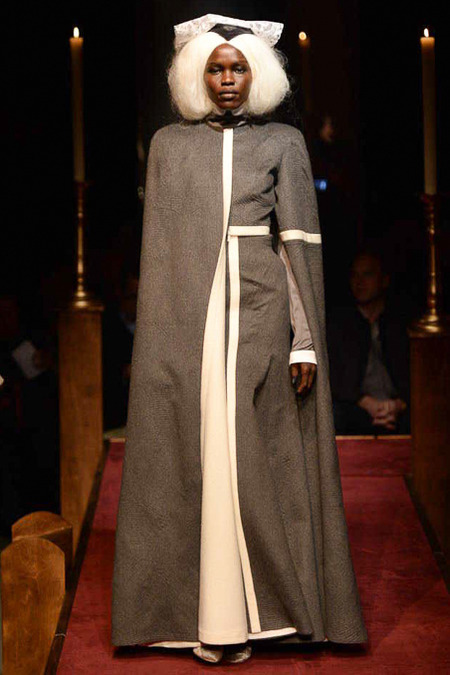 All hail the long cape – at Thom Browne. New York is certainly taking us to new heights this season. 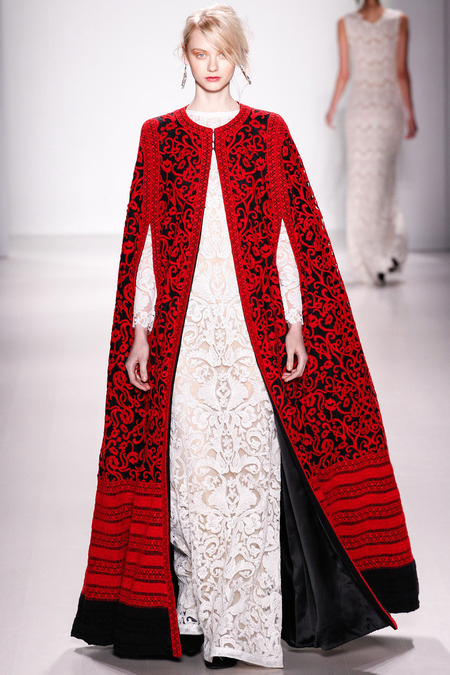 The latest collection from Spanish brand, Delpozo had many tweeting holy messages. Hola New York! Delpozo woke so many of us up. I’ve had this ethereal number from Lebanese design house, Ashi Studio tucked away in my archives. It’s from their FW13 bridal couture collection. Angelic upstart from Ashi Studio. 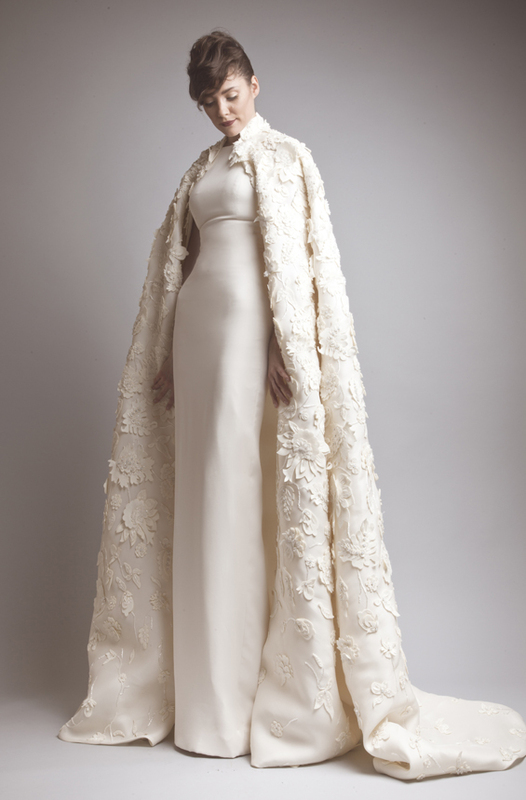 But perhaps the most intricate example from the coming season’s shows is this heavenly gatecrasher from Tadashi Shoji. I would have prefered it with a simpler dress, to show its pure brilliance. …it reminded me of temple scrolls. It crossed cultures and preached one universal belief…that we are all capable of great love and will go to any length to achieve it. Read more cape posts (get a cup of tea – you could be a while).